Compared to mesh construction, synthetic leather likely provides better lockdown in fore-to-mid foot area HYPER SPRINT gives a speedy image in rear-foot to emphasize the lightweight. With the resin plate, the outsole generates excellent propulsion while the removable-pins grip the ground. Made from synthetic leather, the ASICS Hyper Sprint 7 Running Shoe likely provides better lockdown in fore-to-mid foot area compared to mesh construction. HYPER SPRINT gives a speedy image in the rear-foot to emphasize the lightweight. Featuring a resin plate, the outsole generates excellent propulsion while the removable-pins grip the ground. The sockliner can be removed to accommodate a medical orthotic. 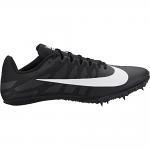 Removable spikes allow the athlete to customize spike configuration and replace worn elements. This item cannot be exported. 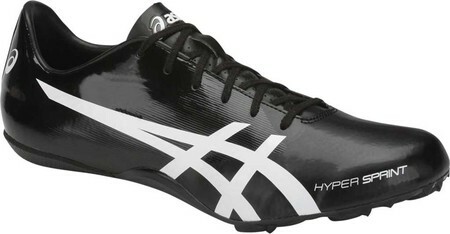 If your size is shown out of stock, please call us, we can order these from ASICS.